(Mitchell,SD) – Klock Werks is launching a new campaign to help riders understand that to ride “bobblehead” free, they need a Klock Werks Flare™ Windshield. Fun videos, a life-size Brian Klock Bobblehead on a red carpet setup, free stickers, and giveaways will all support the start of the campaign! Klock Werks will kick the “#EliminateBobblehead” campaign off during Daytona Bike Week, March 6th-15th, with a life size Brian Klock Bobblehead on a red carpet setup! #brianthebobblehead will be ready for photo opportunities for all those who stop by the Klock Werks booth, located across from J&P Cycles at Destination Daytona. 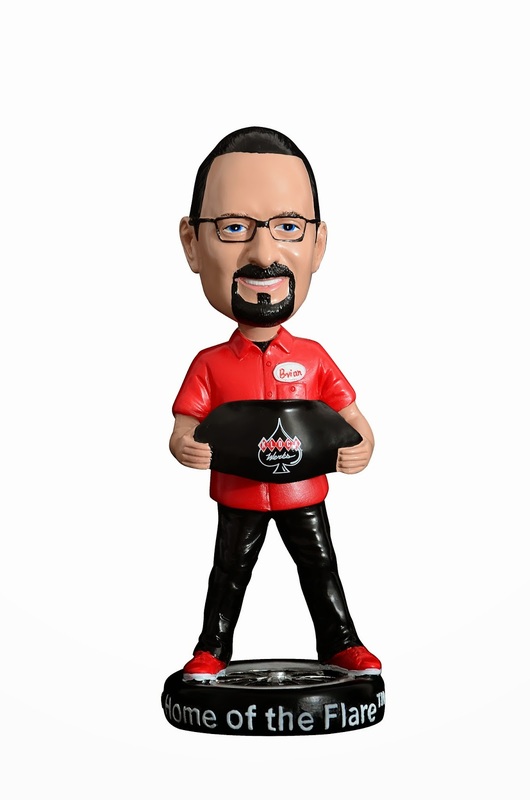 The actual bobblehead figures are limited edition, with only 250 total produced that will be promoted throughout 2015 on social media, at events and through Klock Werks’ Ambasadors and Krew Members. You could be one of the FIRST winners of the 10 #BrianTheBobblehead figures assigned to Daytona Bike Week as the Klock Werks Krew will be giving them away to select riders during the bike week event. Everyone who stops by will receive a free #BrianTheBobblehead sticker. If you’re not going to be at Daytona, don’t worry. There will be online opportunities and more events throughout the year! Be sure to look for fun videos on Klock Werks website, YouTube channel, and Facebook page that will further explain how riding with a Flare™ Windshield can help you #elimniatebobblehead. As always, you can Try a Flare™ Windshield at the Klock Werks booth in Daytona for free, and enjoy free installation of your new Flare™ with purchase. Klock Werks Flare™ Windshield: Eliminating Bobblehead Since 2006. The Klock Werks original, patented Flare™ Windshield is the best choice for improved air management. Klock Werks Flare™ Windshields feature a patented design that includes "hips" at the sides that re-routes the wind away from you while adding downforce to the front-end of the motorcycle to improve stability vs. riding with the stock windshield. The flip at the top of the Flare™ redirects air back as clean, less turbulent air for rider and passenger. The Flare™ doesn’t just block or push the air, it redirects the wind to improve your ride. 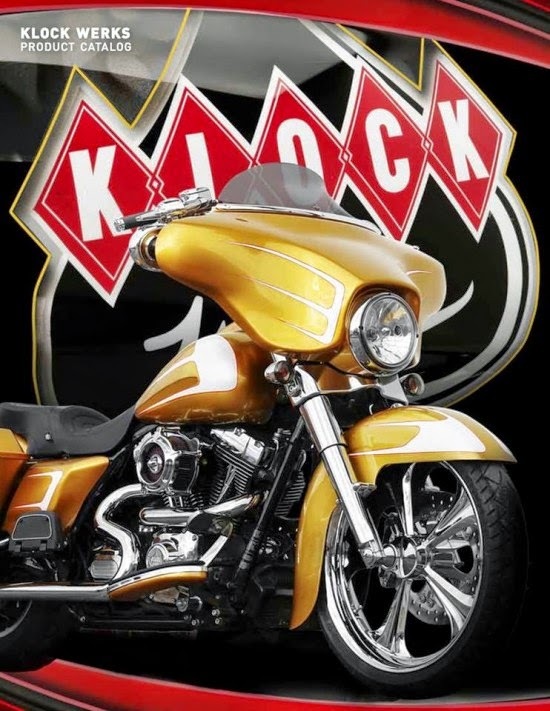 Bonneville Salt Flats racing, wind tunnel testing and real world riding have proven that Klock Werks Flare™ Windshields continue to be the first, and best choice for riders everywhere. Made in the USA from hard-coated polycarbonate material for added durability and quality.